We had a small party last night -- father, sister, bro-in-law, niece -- and I cooked what Owen calls "Vietnam food." I got completely overwhelmed, experienced the desperation that comes when you try to execute overambitious cooking plans and guests are hanging around nervously asking if they can help, drinking their second, third, martinis. You know it's bad when they start eating fistfuls of the unsalted peanuts you bought for garnish. One of the dishes -- the crepes a.k.a. banh xeo, which my father and I supposedly learned to make in our Hoi An cooking class -- was giving me too much trouble, so I scrapped it midway through. After that, everything came together, though there wasn't quite enough. For once, the kids all wanted more; for once, I could not supply. The last flank steak I cooked from the Richmond New May Wah market was inedibly tough, so for the stir-fried beef, which I've made a few times before, I bought the slightly more expensive $6.99/lb. ribeye. Great. I'm amending the recipe permanently. You serve this beef on top of the fries and it is smashing. Isabel chose the dessert, Vietnamese coffee ice cream from a super-easy David Lebovitz recipe: Mix 1 1/2 cups strong coffee with 1 1/2 cups sweetened condensed milk and 1/2 cup half-and-half. Freeze in ice cream maker. Very delicious. Recommend. Curious. What is on Owen's plate and why is he wearing a napkin on his head. All part of the Vietnam theme---or a creative addition? Sad about the coconut crepes. Hope you will try again. Well, as one who ate the peanuts and admits to two, possibly three, martinis, I want to absolve you of any blame. The dinner was fabulously good and took me straight back to Vietnam. Thank you. you do so much great cooking. you should set up a deal with 14 families you know and have them each come over in a 14 day sequence and enjoy your meals. 4 is just not enough to enjoy your cooking. Owen has the garlicky noodles on his plate and was wearing a napkin just for kicks. He later put on about five aprons and pretended he was Cinderella (in her housemaid guise). Meanwhile, I'm counting on Tipsy trying again on the crepes. I just heard the segment on Marketplace while I was pulling weeds in my veg garden in Grants Pass Oregon. You're my new blog idol. I love trying to figure out what will be cost effective and tasty. Recently, we quit eating beef and pork. It's our household's stand(I have a 13yo very eco-friendly daughter) against the the mass production of livestock. That's been a very tasty and cost effective choice (and a good money lesson for said daughter). The money we save on meat we spend on a variety of seasonal, organic produce, spices, better cheese and wine, etc. The poultry we do eat is organic and local. The fish thing I'm still working on. I love to make my own bread, but it's always a hit and miss w/ me. I'm sort of a traditionalist when it comes to baking and can't bring myself to buy a bread maker, do you use one? The no-pork, no-beef solution is a pretty good one, particularly if you take advantage of your savings to spend, say, 1/2 of what you saved on non-meat things you really like. My experience on breadmakers is they don't make enough bread for a family of four; you basically have to constantly be making bread. That can happen with regular homemade bread, too -- particularly when it is irresistably delicious. I'm Vietnamese and I've tried to make Banh Xeo (which I love) and it's pretty hard to got the crepes right. It take practice to find the right length of time + amount of oil to get the crepes done but not too oily or stuck to the pan. 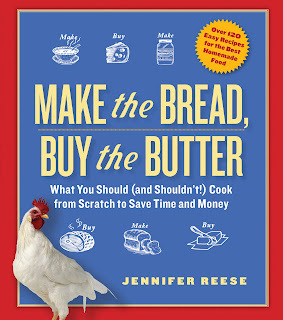 Andrea Nguyen's book is great but her recipes are often more complicated than they need to be. One trick for easy rolling of rice paper is to take 1-2 sheet(s) of dry rice paper and wet it. Then plop it on top of a bowl and let it dry (takes about 1-2 minutes). Then you can make an assembly line with 3-4 bowls and you don't have the hassle of separating sheets. Also using 2 sheets makes it break less often. really enjoyed reading about your foray into Vietnamese cooking and posts on VN!